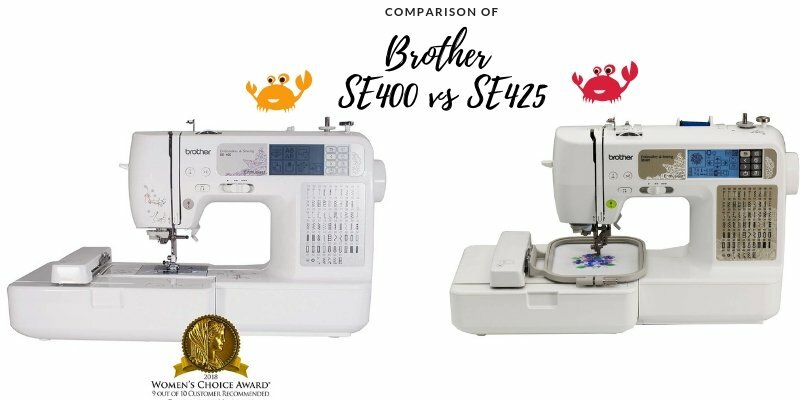 Brother SE400 vs Brother SE425 – Which one is better? When deciding to purchase a Brother sewing machine, you surely must have done your research. Now, you must be torn between two particular models; the SE400 and the SE425. You must be confused about the difference between the two. Right? Well, if you must know, there is just one major difference between the two, and there’s one minor one. Overall, they’re both excellent computerized machines that ensure high-quality embroidery. So, how do they really differentiate and which one is better? 11 Are There Are Other Differences? 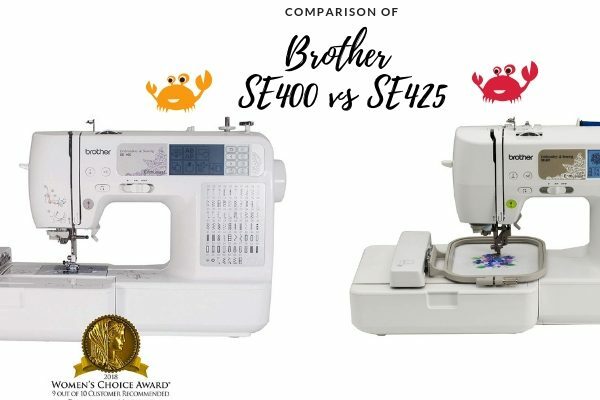 Both SE400 and the SE425 come with 67 built-in stitches. In addition, while doing regular sewing, you can go up to 70 stitches per minute. 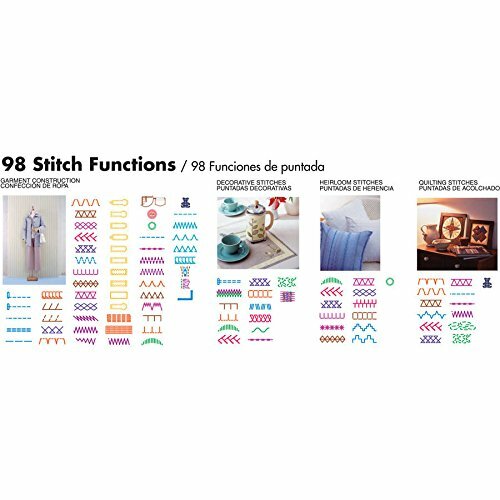 Also, with these 67 stitches, you can sew up to ten styles of one-step buttonholes. The manufacturer, Brother, is quite renowned for creating such sewing machines that are ideal for beginners. Not only are Brother machines easy to set up, they are also easy to use. Moreover, both the SE400 and the SE425 come with a jam-proof bobbin. As a result, you can easily create your own dream project without continuously stopping to fix problems. 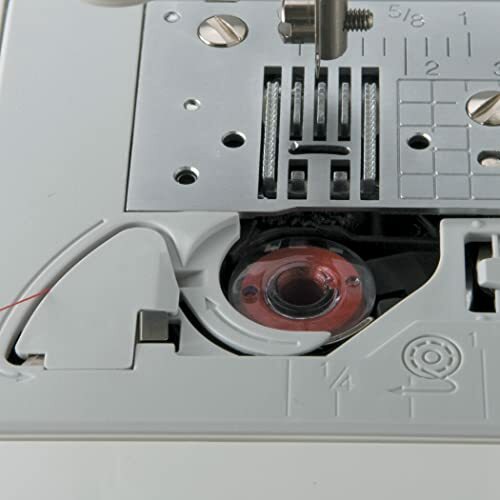 Both the models come with a sufficient amount of presser feet that allow you to sew numerous things. You can also make use of the decorative sewing stitches, or you can simply switch over to embroidery. Swapping out from the sewing hoop and entering the embroidery hoop is really easy. Both the models have the ability to create an accurate and embroidered design with the hoop that comes along. This embroidery hoop measures 4 inches by 4 inches. When embroidering using these two machines, you can sew at a speed of 400 stitches per minutes. While this doesn’t really seem fast, both the models can make accurate designs along with clear stitches. Here comes the real deal. Up till now, you only got to know the similarities which surely had you thinking of the difference. Well, here it is! Both the SE400 and the SE425 have 70 built-in designs. However, with the SE425, you also get a CD which has 100 more designs. So, in total, you get 170 designs with the SE425. It is definitely possible to adjust the speed in both the models. So, in case you need slower stitching speed, you can adjust it accordingly. The ability to adjust the speed comes quite in handy when dealing with thick layers. It also comes in handy in embroidery when there is an area filled with stitches. Both the models allow users to import their designs thanks to the USB port. You can simply plug in the USB to copy the designs. In fact, some people have also been able to hook up their computers to the sewing machines. While both the models have limited built-in memory, they have a slot for the design cards. However, you will have to purchase the Brother design cards to use with both the machines. Both the SE425 and the SE420 come with many interesting features that make them an ideal choice for beginners as well as experts. 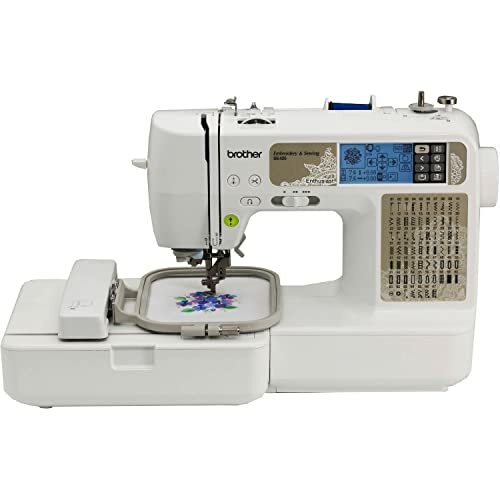 In addition, the two models are also suitable for regular sewing. For this reason, they come with many features like easy threading system, drop-in bobbin system, and easy thread cutter. Overall, the stitch quality that both the machines provide is quite commendable. 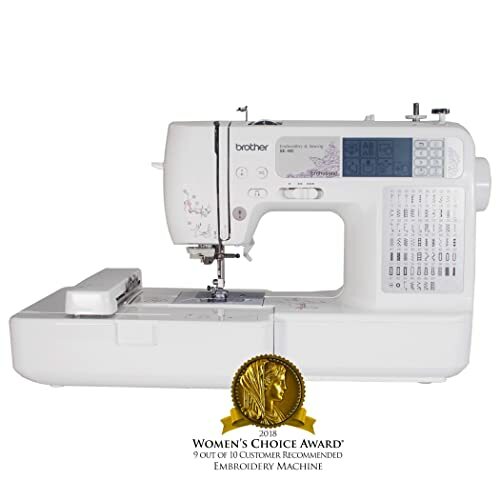 When looking for a sewing machine, you should definitely choose one with an automatic needle threader. Without this feature, threading the needle is a very frustrating task. The good thing is; both the models feature the automatic needle threader. Similarly, they also come with the thread cutter. As a result, sewing clothes with both the models becomes fun! Are There Are Other Differences? As mentioned earlier, one can notice hardly any differences between the two models. In terms of functionality, both the models appear to be identical. For instance, the embroidery area measures the same and both have the same sewing features. Similarly, the embroidery machines are also the same. The only difference we’ve seen up till now is in the designs with the SE425 coming with 100 additional designs. However, there are three other minor differences. One is the appearance, and the second is the price point of the two. While the SE400 has a white and purple decal, the SE425 has a tan one. Secondly, with the SE425, you get additional accessories. However, there are only two additional accessories, and these include 4 bobbins and a zig-zag foot. Now, about the difference in the price of the two. Despite the similar weight, dimensions, design, and features, the SE425 costs a little more. However, the only extra thing that you get with the additional money is the additional designs. The truth is; you can easily find the additional designs on the internet. With the CD, you only get to save time since you already have the additional designs on there. So, if you want to save time, you can go ahead and purchase the SE425 with the additional designs. As mentioned in the beginning, both the models are good, high-end computerized machines. Both come with features hardly present in other models within the price range. As made quite clear, the only major difference between the two is the additional design. Thus, we believe that the SE400 would be the better option out of the two since all the additional designs are already present on the internet. Since both the models have a USB port, you can easily import those designs. Thus, spending additional money for the SE425 doesn’t make sense to us! And of course, it’s always great to save a few bucks wherever we can!